“Fireworks Wednesday” (“Chaharshanbe-soori”) (2006 production, 2016 release). Cast: Hamid Farakhnezhad, Hediyeh Tehrani, Taraneh Alidoosti, Pantea Bahram, Matin Heydaria, Sahar Dolatshahi. Director: Asghar Farhadi. 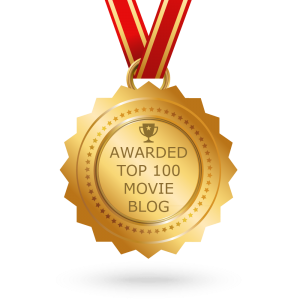 Screenplay: Asghar Farhadi and Mani Haghighi. Web site. Trailer. What does it mean to be married? Does it live up to the hopes and expectations associated with it? Or is the reality destined to fall short of the mark? And what impressions does it leave on those considering it as an option? Those are among the issues raised in the Iranian drama, “Fireworks Wednesday” (“Chaharshanbe-soori”), a 2006 production recently released in North American theaters for the first time. As the story unfolds, Rouhi becomes an unwitting party to the drama as it plays out. She’s even recruited by Mojhde to act as an impromptu spy to clandestinely investigate the divorced neighbor woman (Pantea Bahram) with whom she believes Morteza is having an affair. Thus, even though she inadvertently becomes part of the couple’s troubled life, Rouhi also has an opportunity to observe, from a somewhat detached perspective, what it means to be married. And, as tensions heat up, the fireworks begin going off, ironically enough all in the shadow of the Persian New Year, a celebration known for its own ubiquitous pyrotechnic displays. How will things shake out for Mojhde and Morteza? And will Rouhi’s observations of their experience prompt her to change her mind about marriage? Those are the questions to be answered as the film plays out, for better or worse and, possibly, for later discussion. Rouhi (Taraneh Alidoosti), a housekeeper and young bride-to-be, gets an eye-opening look at marriage when working for a couple in crisis in the Iranian drama, “Fireworks Wednesday.” Photo courtesy of Grasshopper Film. If someone were asked to characterize the nature of the scenario playing out in this film, the most fitting description would probably be, “It depends on which character you ask.” Each clearly has his or her own perspective on the unfolding events, and their outlooks are framed by the beliefs they hold, the driving force in the conscious creation process, the means by which we manifest the reality we experience through our thoughts, ideas and intents. And, given their diverse viewpoints, an equally diverse number of interpretations of that existence is possible. For example, Mojhde is convinced that her husband is cheating on her, and evidence suggesting that pops up at every turn. Her beliefs thus become self-fulfilling prophecies. But, because she only has suspicions, the available evidence doesn’t conclusively prove her allegations, making it difficult for a definitive claim to stick. So what is Mojhde to do? If she’s unhappy with these circumstances, she could always pursue other options, such as choosing to embrace beliefs in a contented relationship. Nevertheless, her beliefs in her worrisome convictions are so strong that swaying her opinion in another direction would be difficult, if not impossible. This outlook, in turn, prompts the emergence of the other conditions that surface in her life. Her fits of irrational behavior and moodiness, for example, arise as byproducts from her suspicious beliefs. And these manifestations consequently contribute to the discord she experiences with Morteza. One belief thus begets another, which begets another, and so on, leading to a spiral of events that almost seems to take on a life of its own, even though their origins can be traced directly back to the one who set this process in motion, Mojhde herself. If she continues down this line of probability, one can only guess where she’ll ultimately end up (though it’s probably not too difficult to predict the most likely outcomes). Morteza, by contrast, believes his wife is delusional. As her husband, he tries to assuage her misgivings, continually comforting her and even going so far as to propose taking the family on a fun-filled New Year’s vacation to Dubai. But, when Mojhde’s frantic outbursts and unexplained, erratic behavior become increasingly commonplace and unpredictable (manifestations undoubtedly driven, at least in part, by the beliefs Morteza holds about her), he witnesses a commensurate spike in the volume of these frustrating events – and in the intensity of his reactions to them. He grows impatient when it seems there’s no pleasing her, especially when she engages in acts intended to air their dirty laundry publicly. 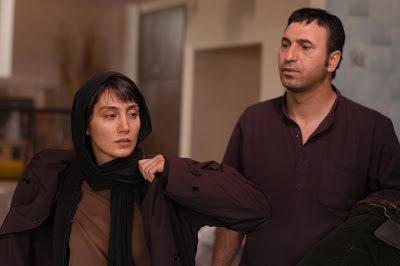 Mojhde (Hediyeh Tehrani, left) and Morteza (Hamid Farakhnezhad, right), a troubled married couple, struggles to find common ground in director Asghar Farhadi’s “Fireworks Wednesday.” Photo courtesy of Grasshopper Film. Collectively, the conditions they each materialize in this co-creation intensify over time, affecting the quality – and perhaps even the viability – of their marriage.  The interaction of their combined beliefs creates its own set of prevailing shared circumstances, conditions that impact the character of their relationship and that, in turn, serve to further influence their respective individual beliefs, perpetuating the spiral of evolution in their personal and collective outlooks. Given the state of mind that each of them possesses, it’s no wonder why the couple finds themselves where they are. And then there’s Rouhi. As an outsider to the relationship, she has an opportunity to view what marriage is like. By being able to witness the example set by Mojhde and Morteza from an up-close-and-personal, yet ostensibly objective perspective, Rouhi has a chance to see what she might be in for, an important consideration in light of her upcoming betrothal. The operative word here, though, is “might.” The troubled couple’s example is by no means the only one the bride-to-be has to draw from; she can just as easily choose a different outcome for herself by embracing a different set of beliefs for characterizing the nature of her impending marriage. Some may believe that the example set by Mojhde and Morteza is sufficient to make a case against marriage, that it could easily scare off Rouhi from following through on her wedding plans. However, one could also argue that they provide a valuable cautionary tale to those who are still committed to the idea of matrimony, showing prospective newlyweds what to avoid in their relationships. In any event, Rouhi’s experience with the couple provides her with an opportunity to explore possibilities, one of the primary benefits afforded by the practice of conscious creation. When we realize that we have choices, that we’re not reconciled to a path we cannot alter – be it with regard to marriage or any other undertaking for that matter – we can envision a wider range of options for ourselves, including those that we believe best suit our needs and desires. It also helps us to dispense with unrealistic, storybook notions about marriage, even if we don’t sink to the same depths as Mojhde and Morteza have. 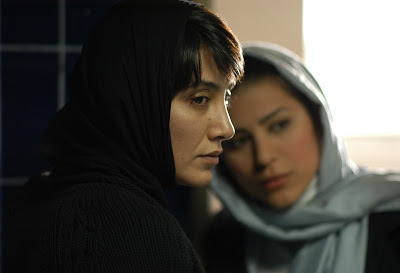 Mojhde (Hediyeh Tehrani, left), a wife who suspects her husband is having an affair, seeks comfort from a relative (Sahar Dolatshahi, right) in “Fireworks Wednesday.” Photo courtesy of Grasshopper Film. This intriguing look at marital life and strife is capably handled and deftly told, especially with its use of an outsider’s perspective for carrying the story. Its excellent performances (especially those of Tehrani and Farakhnezhad) are real stand-outs. At the same time, though, the sometimes-melodramatic narrative doesn’t come across as especially groundbreaking, at least in the world of cinema at large (even though it may have been audacious by Iranian audience standards at the time it was made). Also, the film’s less-than-subtle pyrotechnic metaphors grow a bit obvious as the movie progresses. “Fireworks Wednesday” provides an eye-opening examination of marriage, especially for those who look upon it naïvely, but it’s not quite in the same league as some of director Asghar Farhadi’s later works, such as “A Separation” (2011) and “The Past” (2013). The film is currently playing in limited release in theaters specializing in foreign and independent cinema. Perspective is everything in life, no matter what aspect is involved. But, to properly appreciate it, it helps to have an open mind, an open heart and, above all, open eyes, particularly in assessing the manifesting beliefs at work. 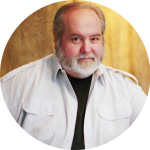 “Fireworks Wednesday” shines a spotlight on this idea when it comes to marriage, and it encourages us to thoroughly scrutinize this institution before partaking in it – especially before the explosions start.